A sophisticated and subversive guide on how to make a difference ... one day at a time. You watch the news every night. You turn off your television set, disturbed by what you've seen and wondering what, if anything, you can do to make a difference. This is the book you need to get started. You may think that the issues which confront us are so huge, so complicated, so difficult to deal with that it's hard to believe anything we can do will have a meaningful impact but Michael Norton will prove you wrong. A lot of people doing a lot of little things could have a huge impact. 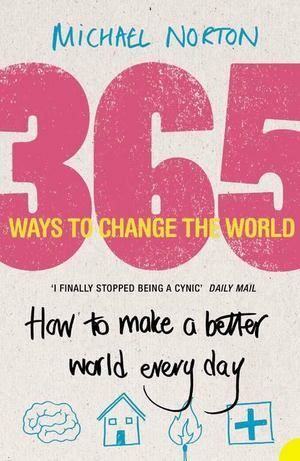 This book has an idea-a-day for changing the world. Most are quite simple, can be done from home, and will not take much time. You can make a start whenever you like. Just open the book at today's date, read, enjoy, be inspired to action - and do something!